This steak sauce recipe is so easy to make and makes a great marinade, burger condiment or dipping sauce. But the best part is that it takes just a couple minutes to whip up from scratch! When I was growing up, I was never a big steak eater. I think the first time my husband ever cooked for me, he grilled rib eye steaks, and that day, I became a big steak eater. He has a philosophy that you don’t do too much to the meat because you want to let the true taste of the meat stand up for itself. He would put a little salt and pepper on it, grill it on high heat to get perfect grill marks, and that was it. His version of a perfect steak. He really does grill a great steak. Okay, yes, I think the steak should shine on its own, but sometimes it does need a little help. Sometimes I just want a little more flavor to give it a great kick. In order to satisfy my craving for an extra kick, I decided to make up my own recipe for steak sauce. I wanted something with a rich tomato base, the twang of vinegar, and a bright citrus note. And since my husband is the one who grills, I didn’t want anything too labor-intensive, since those times are my official night off from cooking. –Try to make a cheap steak cut tasty? Try the Slow Cooker Steak method! This recipe for steak sauce checked all of my boxes. It whips up in only a couple minutes but has a deep, robust complexion that is similar to A-1 sauce. So before you run to the grocery store, check your pantry for a few simple steak sauce ingredients like ketchup, Worcestershire sauce, mustard, vinegar, and molasses and make your own homemade steak sauce instead! You won’t regret it. Combine all of the ingredients in a medium-sized bowl, and whisk until fully incorporated. This recipe makes 1 ¼ cup of sauce, which should keep for about a week in the refrigerator. *You can use a few different types of vinegar in this recipe for steak sauce, to suit your tastes. Distilled white vinegar will give you a strong, bold flavor, whereas red wine vinegar provides a sharp taste that pairs well with beef. If you don’t want as much of a punch, apple cider vinegar or rice vinegar may be a good choice. White wine vinegar also has a milder taste. If you want a sweeter flavor, balsamic vinegar may be a good option for you. Or you can simply use whatever vinegar you have on hand, and it will still be delicious. 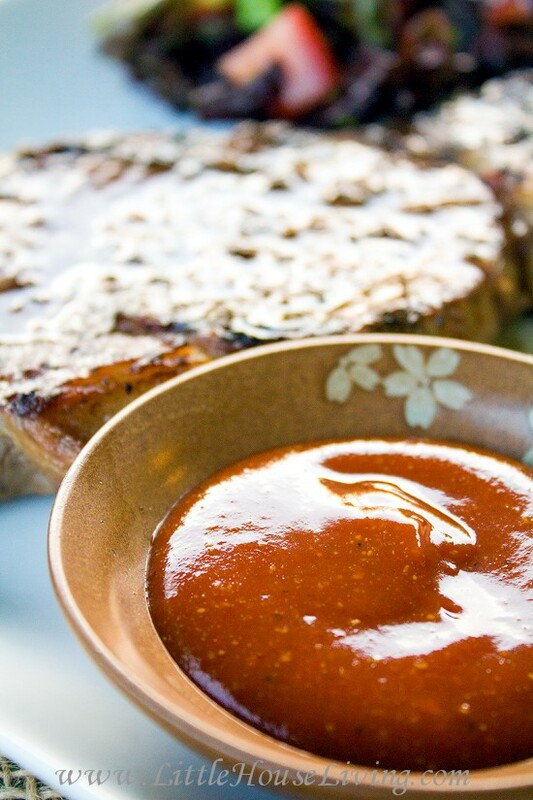 This steak sauce recipe is the perfect marinade for grilling all sorts of meats, or as a condiment on burgers or even as a dipping sauce for fries or homemade chicken nuggets. 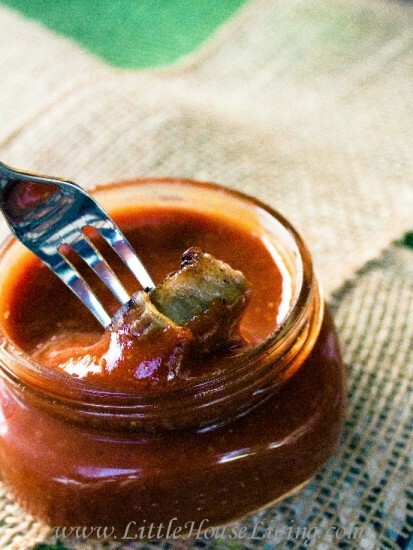 If you’re looking for a sauce that’s more like a traditional barbecue sauce than a steak sauce, check out this recipe for homemade BBQ sauce. If you are cooking fish, you might want to consider a Homemade Tartar Sauce instead. Here’s a tutorial on How to Make Caramelized Onions for your steak! 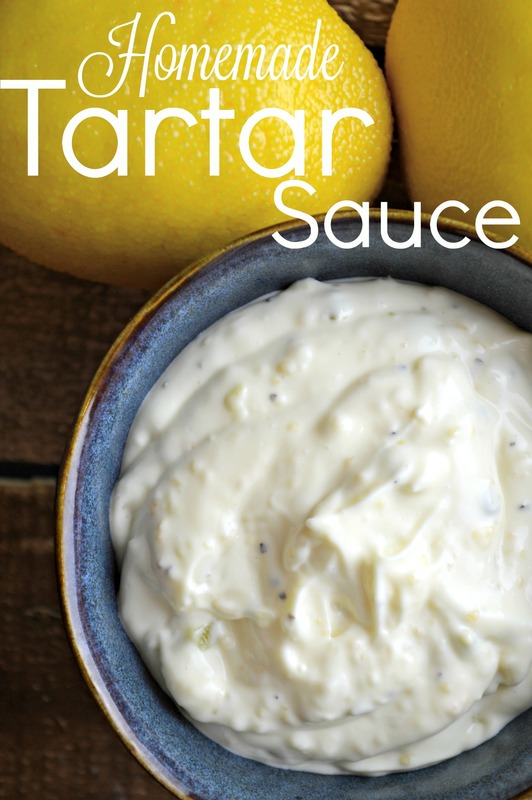 Of course, if you are the person that needs something spicy to top your steak, you are going to want to give this Homemade Hot Sauce a try. You could even add it in to this Steak Sauce recipe to give it a kick! 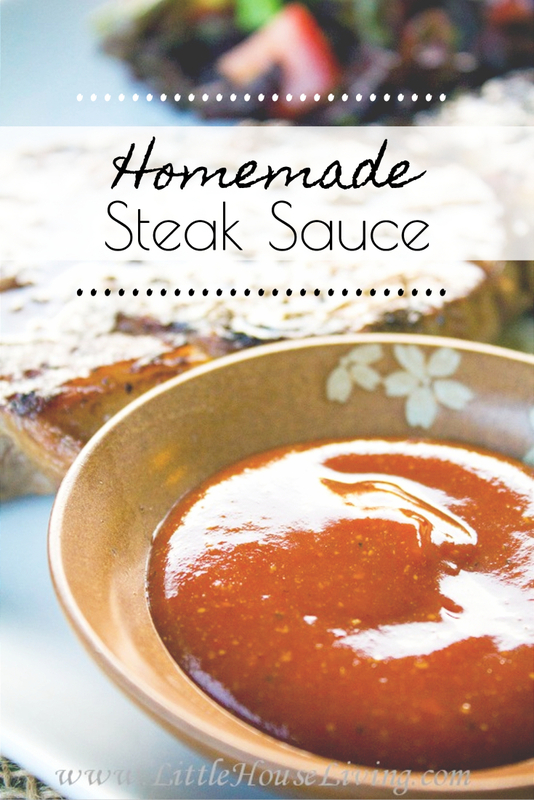 This homemade steak sauce recipe can be used as a condiment for everything from steak to burgers and takes just a couple minutes to prepare! Combine all ingredients in a bowl and which until well-combined. 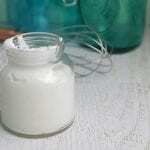 Transfer to a jar and store in the refrigerator for about a week. 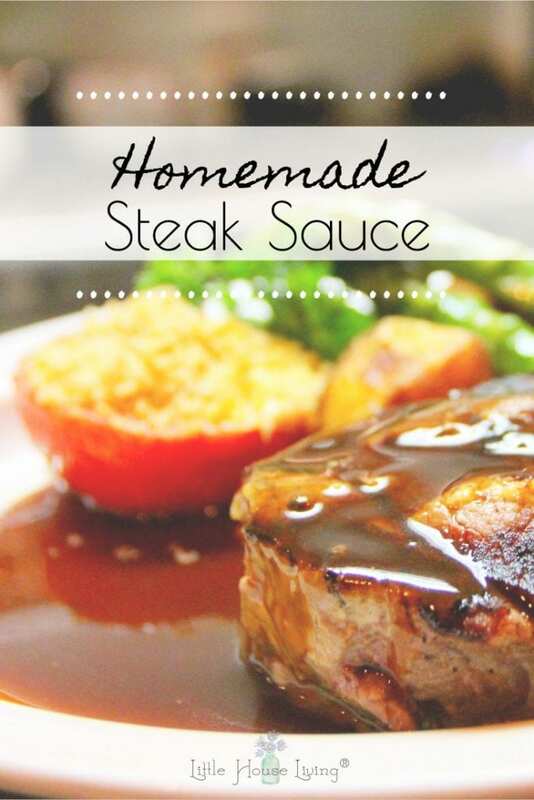 * You can use any type of vinegar you like for this steak sauce recipe. White vinegar, apple cider vinegar, red wine vinegar and white wine vinegar are particularly good! This recipe makes about 1¼ cups of steak sauce and should last up to about a week in the fridge. Do you like your steak with or without steak sauce? 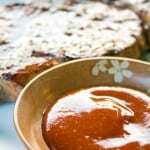 Have you ever made homemade steak sauce before? Let me know in the comments below! 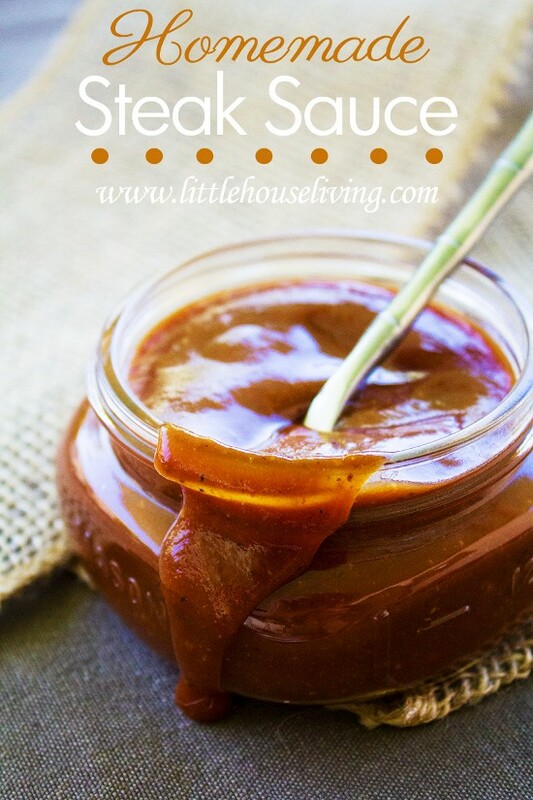 This blog post for Homemade Steak Sauce was originally published on Little House Living in July 2014. It has been updated as of February 2019. 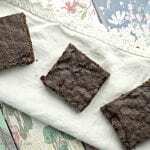 I love this recipe and the use of homemade ketchup and worcestershire sauce. This is my first time to your site and I am intrigued. Looking forward to spending some time here and getting to know you a little better. 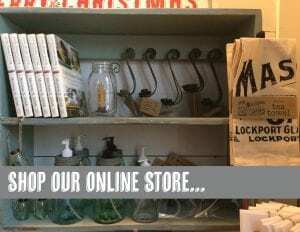 Stopping by from Thrifty Thursday to pin your fabulous post. Welcome, I’m glad you found your way here! What wonderful recipes! Would you be able to can this and you’re other sauces? Yes, you should be able to pressure can this recipe. I have not done it yet so I’m not sure on exact times/temps but I would imagine it would be the same as ketchup or a BBQ sauce. I have never thought about making my own steak sauce but the way we go through it at my house it’s worth a try. Thanks for sharing. We go through a lot of steak sauce at our house. Will have to give this one a try. Thanks for sharing your recipe. So interesting! I had the attributes to the vinegar all wrong in my head! Thanks for clearing that up and for sharing such a fun recipe. I would think too you could can just like ketchup or bbq sauce so brilliant idea there! Checking out your ketchup recipe next 🙂 Thanks for sharing with us! Thanks for linking with us at Family Fun Friday. Just stopping by to let you know you’re featured this week. 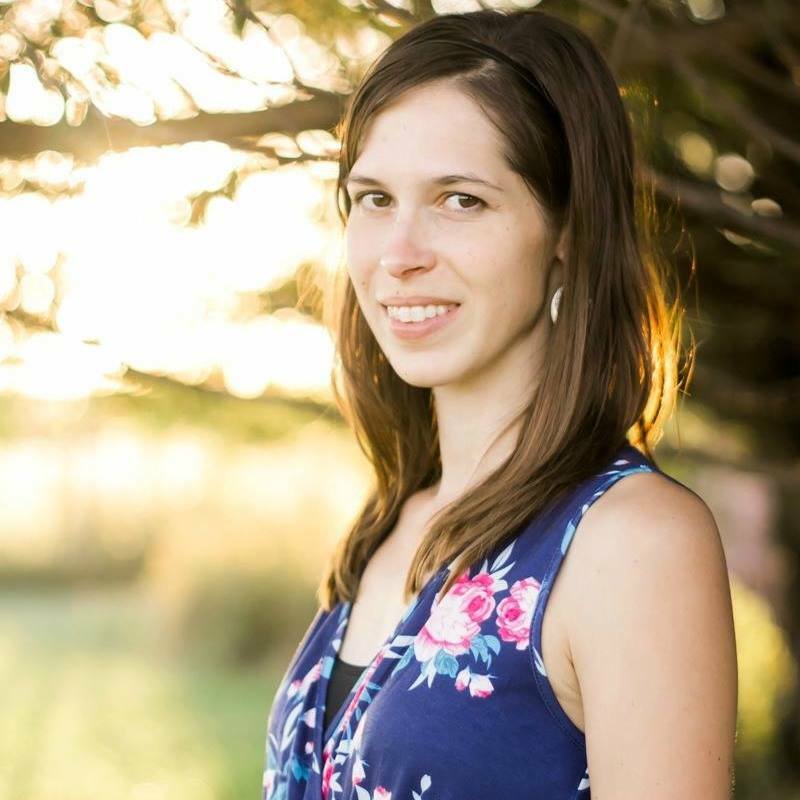 Thank you for the feature Danita! Mmmm, that looks delicious. Love a good steak sauce. We splurge every once in awhile and have steak on the grill. Definitely making this the next time we do. Thank you so much for sharing at Inspire Me Wednesday. Featuring you in next week’s issue. I like steak sauce. I have to try your recipe, it sounds good! This looks delicious! Thanks for linking up to Tips and Tricks! Thanks for the feature Vanessa! Sounds amazing! Was just wondering if there was anything that can be substituted for the orange juice as I don’t have an orange and I live about an hour from the closest grocery store….. Thanks! 🙂 cant wait to try this! I think lemon juice would be a fine substitute, or juice from another citrus fruit. You can probably omit it, and it would be tasty… but if it wasn’t tangy enough, you could increase your vinegar just a touch. Hope that works for you! Thank you again for sharing this recipe. I would love to prepare this recipe this week. This would make such a great hostess gift for all the BBQ’s I get invited to. Great post! Can’t wait to try it. Thanks for the recipe! I’m making slow cooker chicken Philly cheesesteaks, and the recipe called for steak sauce. I halved the recipe and it was perfect! Very tasty, will definitely make again.